Calling all honey badgers! 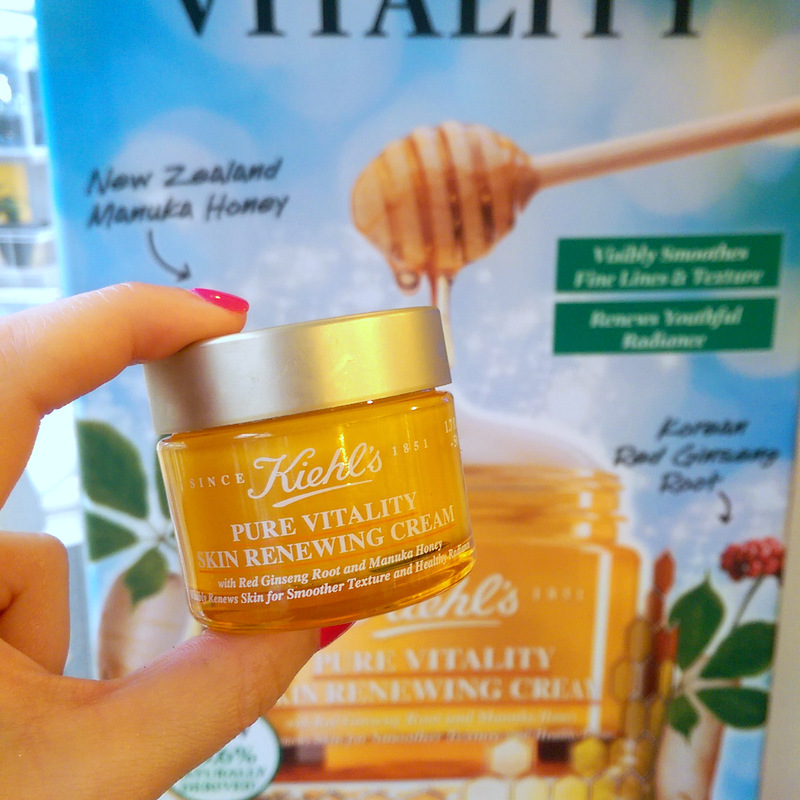 Kiehl’s have just launched a new facial moisturiser called Pure Vitality skin renewing cream (R895). It promises to smooth and strengthen your skin and makes use of several great hydrators including glycerin, Shea butter and even bees-wax but the hero ingredients are Manuka honey and ginseng. Winnie the Pooh would approve! 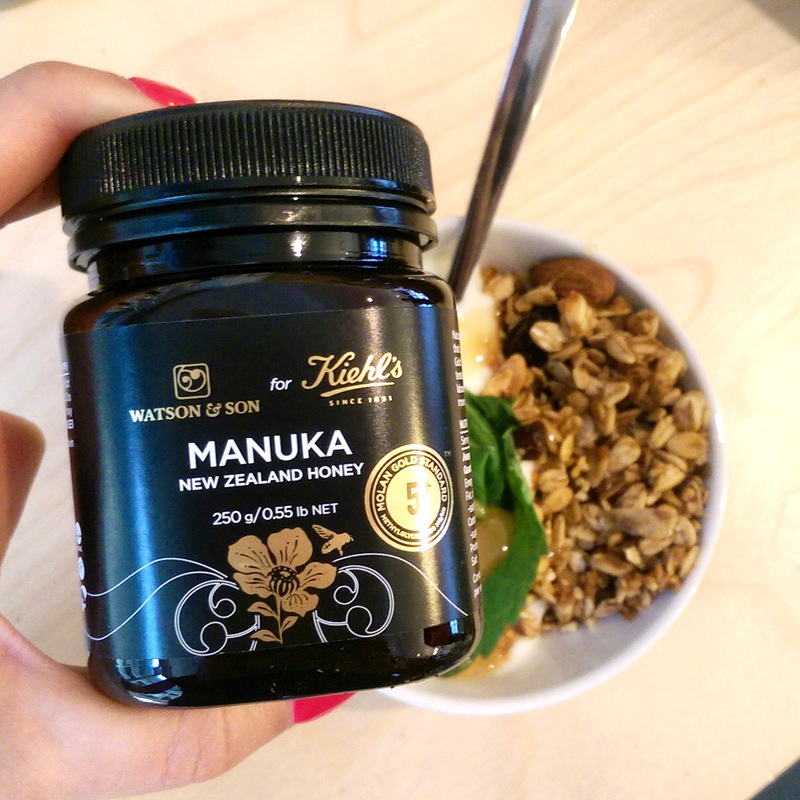 All the way from New Zealand, Manuka honey contains the highest levels of polyphenol (a top-notch antioxidant) of all the honey you can get and has good hydrating and antibacterial properties. Along with all the other hydrators in this particular mix, it’ll do a nice job of improving your skin’s barrier repair function. As for ginseng (another well-known antioxidant and natural energiser), a few studies have shown it to have a brightening effect. Kiehl’s have also made a point of using Korean red ginseng. Much like Manuka honey, it’s the best in its class, having the highest amount of ginsenoides, the compounds responsible for its benefits. Also, while it’s not punted as a hero, Kiehl’s new cream also contains a good amount of quinoa seed oil extract, another hydrating antioxidant rich in vitamin A and E.
Having an oily-combo skin type, I’m not an ideal candidate for this cream as it’s got a medium-weight gel-creme texture. Still, I’ve used it a few times at night and really liked that it made my skin feel instantly soft and velvety, almost as though it was full of silicones, but I can’t find any in the ingredients list. Then, when I woke up, my skin looked well-rested and plump. If you’ve got a drier skin type and want a hydrating antioxidant-rich cream with a gorgeous velvety texture – one that would pair beautifully with foundation – then this could be a new friend. I’m usually quite vocal about disliking products in jars, but seeing as this products more of a moisturiser than an anti-ager and doesn’t contain unstable ingredients like retinol or vitamin C I’m not too fussed. Just make sure you use it up in about three months. Now let’s chat about Optiphi’s Renew Hand Therapy hand cream (R302). I’m not sure if this is a new product or not but I hadn’t tried it before and have really liked it. It ticks all the boxes for the things you’d want from a hand cream including the fact that its got an SPF of 20. That alone will help protect your mitts from premature ageing. It smells like sunscreen but that’s a fragrance I like so we’re all good. Other great ingredients? The power house antioxidant duo that is vitamin C and niacinimide (vitamin B3), both proven collagen-boosting brighteners. As far as pigmentation goes, vitamin C works by inhibiting a particular enzyme your skin needs to create pigmentation and niacinimide slows down the transfer of melanin (the pigment that causes dark marks) to the upper layers of your skin. Together with the sunscreen, you’re looking at a very safe bet to prevent age spots on your hands. If you’ve got them already, however, chat to your dermatologist who can suggest something like a peel, laser or something topical that’s super-duper sterk or possibly prescription. Spot-prevention aside, Optiphi’s hand cream also hydrates thanks to Shea butter, glycerin, and cetearyl alcohol (relax, this isn’t a drying alcohol, it’s a ‘good’ fatty one). Despite containing an SPF, it doesn’t feel greasy or heavy and absorbs fast to leave your hands feel supple and soft. Lastly, I got to try a few of Schwarzkopf’s Professional BC Bonacure Fibre Force products and really, really like them. The line’s geared towards over processed hair in need of a little fortifying and while mine’s hardly in terrible shape it does take a beating from regular highlighting and my curling wand. Also, my hair’s super-duper fine which makes it significantly more fragile. New friends for fragile hair. The products all aim to strengthen your locks (up to ten times stronger, they say) by creating bonds within your hair’s matrix and then sealing the cuticle to keep them put. Ideally, you’re supposed to use it after having a Schwarzkopf Strong Bonds treatment, the brand’s answer to Olaplex, but there’s nothing stopping you from using it sommer so. I really, really liked the shampoo (R243). It’s sulphate-free so I made a point of using it after another in-salon bonding treatment I tried to help preserve its effects. Like everything in the range its got an addictive soft, sweet scent and I liked that it still foamed up to my satisfaction (SLS-free shampoos often don’t and I like a foaming shampoo) and my hair felt cleansed but not stripped when I rinsed. I then used the Fortifying Mask (R305) as though it were a conditioner and adored its ultra lightweight texture. There’s really no need to put it in a tub. It’s so ‘thin’ you could easily pump it out a squirt bottle. This spread beautifully through my hair but I felt like I did need to use a generous amount to cover all of it. After about ten uses the mask was gone but the shampoo isn’t even a quarter way used up. As far as results go, I was left with hair that was easy to brush while wet but bouncy and light yet soft and shiny-looking when dry. This is the mask. You can’t really see it but it’s slightly shimmery. Anyway, both these products are lovely and worked well for me, but I do wish the line included a straight up wash-up conditioner as opposed to a mask. I mean sure, you could essentially use the conditioner as a mask like I did. But then you’re rinsing it off before it’s benefits can kick in (they say wait five to ten minutes – not ideal if you wash your hair every day like I do) and its going to use up four times as fast as your shampoo. There are two other conditioning products in the range, however – a lovely light leave-in spray con they confusingly refer to as a ‘primer’ (R320) that I’ve been using as a detangler and a Fortifying Sealer (R440) which is essentially a leave-in cream conditioner for the lengths. This was too heavy and felt unnecessary for me to use on top the mask and I wouldn’t use it to replace it as I need conditioning all over, especially in my crown area where my hair’s the most prone to tangling. However, if you’ve got a drier hair type you’ll probably find it very useful to help add more moisture. It’s also got loads of silicone in it so it’ll do a great job of taming frizzies while serving up heat protection too.